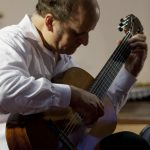 The West Claremont Center for Music and the Art’s Summer Concert Series at the Union Church’s 11th Season brings local, regional, and international artists to the dynamic annual music series. The season will feature artists from New York City, Toronto, Boston, and across NH. 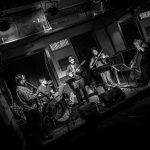 From Classical Mozart and Irish music to original compositions that push the boundaries our concept of music collaboration the program is sure to be an engaging adventure for the listener. 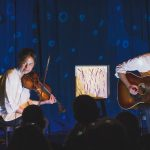 The Art of the Duo performance’s New Hampshire tour is in collaborations with the Arts Alliance of Northern NH. The performance is made possible in part by a donation from the Byrne Foundation, and is funded in part by the Expeditions program of the New England Foundation for the Arts, made possible with funding from the National Endowment for the Arts, with additional support from the six New England state arts agencies. The Summer Concert Series is held at the historical and acoustically outstanding Union Church, 133 Old Church Rd in Claremont. The series is by donation, and while contributions are a vital part of making the series possible, all are welcome regardless of ability to donate. 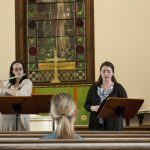 Concerts with an “*” designate performances that are part of the “two day” performance experience in collaboration with the Saint Gaudens Memorial and performed at the Saint-Gaudens National Historic Site in Cornish. Artists will perform varied programs in Claremont on Saturday at 6:30pm and in Cornish at 2pm; a rare opportunity to have expanded access to outstanding touring artists. Music for a Summer Day with Kirsten Becker, piano; Angela Biggs, soprano; and Melissa Richmond, flute featuring music of Mozart, Schumann, Gaubert, and more. The audience will also have the opportunity to learn more about the upcoming season. This entry was posted in Community Fun, Events, Music, News, Performance by melissa. Bookmark the permalink.